At the Bike Shop, we carry a full selection of road and mountain bikes and everything in between. 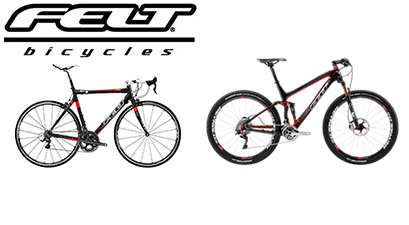 Below you will find information on our main bike lines. When speed matters most, Giant’s race-bred machines get you there faster. Aim for the podium, or group ride glory, on one of these road, cyclocross or triathlon bikes. Come into The Bike Shop to check out all the new Giant lines. For anyone looking to leave the competition in the dust, Giant’s race machines set the pace. Shatter a course record on the Glory DH or burn up the XC course on the all-new Anthem X. 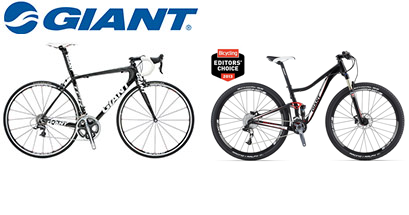 Giant has everything from full suspension to traditional hardtails. Check them out today. You don’t have to be a Tour de France racer to appreciate the performance of a Felt road bike, but it’s nice knowing Felt produces the most cutting-edge machines ridden by the world’s fastest road professionals. 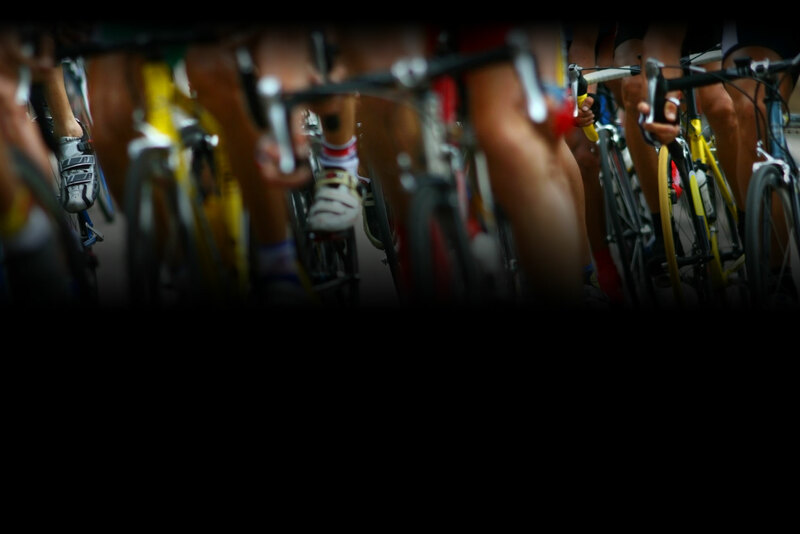 When athletes like super-sprinter Tyler Farrar and 2009 Tour de France revelation Bradley Wiggins—count on Felt to deliver every competitive advantage, you can bet Felt engineers, designers and product managers are well-accustomed to pushing boundaries. Every Felt mountain bike is designed with one overarching goal: to improve your experience on the trail. Whether you’re racing cross-country, riding an all-day epic, pushing yourself on aggressive all-mountain terrain or just looking for a weekend adventure, there’s a Felt mountain bike designed specifically for you.